While Batman is usually preoccupied with the villainy that consumes Gotham – villainy that he’s not been very good at laying to rest, frankly – he does sometimes bugger off into space. It’s usually because the Justice League have got some sort of extraplanetary crisis on their hands. 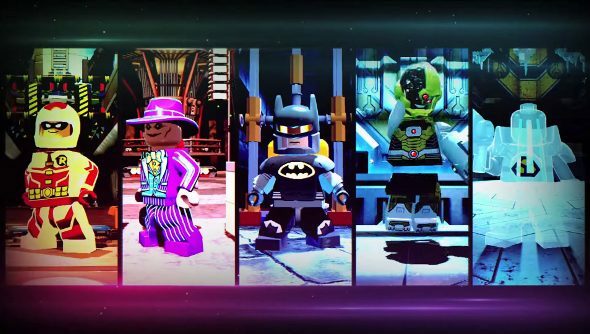 And that’s exactly what’s happening in Lego Batman 3: Beyond Gotham. From Comic-Con, a new trailer for TT’s latest not-really-about-Batman DC Lego romp has appeared. And, of course, it looks flipping excellent. While the Star Wars and Lord of the Rings Lego games are high up on my list of games that bring me a great deal of joy and feed my sometimes compulsive tendencies, it’s the comic spin-offs that have hooked me the most. For a while, Batman 2 ranked – in my mind – as the best of the bunch, but then Marvel Super Heroes came along and took its place. These games rarely shake things up, but it’s the little things that make them so damn special. Batman being a bit jealous of Supes in Batman 2, Banner’s comical transformation into the Hulk in Marvel Super Heroes. TT can’t help but inject character into these bricks and minifigures. So I am, not surprisingly, rather excited about Batman 3. I mean, there’s Plasticman turning into a jet, and Batman’s Batrocket frying a bunch of innocent ducks. What’s not to love? And only in the Lego games can Superman be funny instead of a tiresome bore. Batman goes to space this autumn.